Handling your concealed carry firearm on a daily basis without adhering to good practices can lead to unsafe habits and even accidents. One of the things I see in my classes frequently is that people do not handle their firearms safely and efficiently when they are administratively handling the handgun. When handling your concealed carry firearm check the firearm to see that it is unloaded before handling. We all know that when we handle a firearm one of the key safety issues is checking the gun to see if it’s loaded or unloaded. Once you have determined the status you can proceed with your administrative handling. First, what direction are you pointing the firearm? Rule #2 (never let the muzzle cover anything you are not willing to destroy). Is it a direction that will not harm anyone or damage property? Are you keeping your hand and fingers away from the muzzle? Poor handling practices include putting hands or fingers in front of the muzzle, or pointing the gun at yourself in your car while inspecting your firearm when the gun is out of a holster. Remember rule #1 all guns are always loaded! Do not get in the habit of handling your concealed carry firearm carelessly. I know with some of the small guns that are carried today our big hands can get in front of that muzzle. This is one of the drawbacks and hazards of carrying small guns. When carrying small shooters you have to be more careful than the rest of us when you are handling your concealed carry firearm. When you go to the range and you do not want to shoot your expensive carry ammo, you unload it from your gun and then when you are done with your range session you load it back into your concealed carry firearm. Did you know that every time you chamber a round it degrades that piece of ammo a tiny bit. I like to rotate my carry ammo and mark the headstamp area with a marking pen (see picture) to see how many times I have ejected and rechambered that piece of ammo. After 4 times for each round, I shoot it up and buy another box of carry ammo, and start the process over. A degraded piece of ammo might not work in a self-defense situation and that would not be good. Handling your concealed carry firearm is all about having good habits. Practice good sound habits when you are handling your concealed carry firearm. Get in a concealed carry class that will teach you the basics. Many people have never had exposure to handguns. Be sure that the Instructor you choose has a vast amount of experience in firearms and firearms training. Your Instructor should be a student of the industry and should be a Concealed Carry aficionado. Sometimes a Law Enforcement background or Military Service is not enough. I have had many of these individuals in my Concealed Carry classes over the years and many of them cannot unload a gun and make it safe without violating one of the rules of gun safety. You must learn the right way from the beginning otherwise you will have to break those bad habits later so that you can safely partake in the Concealed Carry lifestyle. Gun safety is paramount. Gun Safety is simple there are a short set of rules that most Concealed Carry Professionals in the industry follow. You have to learn them from someone who can show you why they matter. Just learning the rules without any reasoning behind it gives you no reference to complete the learning process. I want you to learn the Gun Safety Rules and I want you to be able to relate them the Concealed Carry process. I have had many individuals in my class over the years that know the laws and regulations about guns and the carrying of them legally in the State of Colorado. Many of them are surprised about some of the information because they have it wrong. Many times what they have heard from family, friends and the coffee clutch is old information. Much of this information in class deals with GUN LAW. Gun law is the regulations we all have to deal with when we own a gun. Can a gun be in our car? Can it be loaded? Do we have to declare a gun to a Police officer in a traffic stop? Many of these are talked about by people who spread misinformation. You need to know the real scoop. Then there is the use of deadly force. Many experts around the industry like Andrew Branca have important information about the Laws of Self Defense. Andrews teachings and Books are considered the gospel when it comes to using a firearm for self-defense. I always give some significant information on this topic and how it applies to Concealed Carry. Learning to handle firearms safely. This is done by being shown the proper way and then doing it in class so that you can handle your firearm safely when you leave class. Many accidents in real life happen when administratively handling your firearm. Loading and unloading, transporting to and from shooting and cleaning the firearm. No live ammunition is ever used in any classroom setting. Live ammunition is only a recipe for accidental discharges and injuries that may result.  Any good training is going to give you Information for picking a good Concealed Carry Gun. Size of guns, Brands of Guns, Best actions Revolver vs Semi-Auto and the neverending caliber the argument. All of these and more are discussed in my Concealed Carry Class. learning to shoot the Concealed Carry handgun of your choice is the ultimate goal. Most of the information that I have talked about prior to this is of no use to you if you do not learn to shoot your gun. Most of my students like the way I handle the live fire training in my courses. I do not do it in large groups. 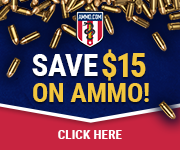 You will be learning the most up to date information about shooting and shooting methods. I had a lot of people take courses from me this year and many were new gun owners. 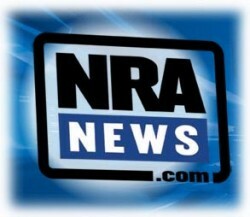 I will be writing a multiple part series on how to continue with your concealed carry training. Many people ask me whats next and here is my answer. Claude Werner recently wrote in an article that buying a gun, never firing it, never practicing or training, and hoping for the best is the Lucky Charm training option. Some people go to the range a couple times per year and think they are good to go. You need to get on some type of regular concealed carry training schedule. Go to the range at least once a month and practice one or two skills so that you become a competent gun handler. The Lucky Charm training option is not the best plan for you. Develop Basic Familiarity with a Handgun before you go to the range. You waste a lot of valuable training time by not being familiar with your gun. Plus it is very dangerous not to be familiar with your firearm during shooting practice or a self defense encounter. This includes Manual of Arms. Practice loading and unloading your firearm with dummy rounds. I have them available in most calibers. Learn the feel of your gun and the trigger. Most modern handguns can be dry fired safely. Learn to dry fire safely in your home. This develops good gun handling skills like grip and trigger control. I have a document for dry firing that I have available for my students. Gun safety principles are the gospel…..learn the 4 rules of gun safety and do not violate them. Principles of marksmanship …..Principals of marksmanship include Stance, Grip, Sight Alignment, Sight Picture, Trigger Control, Breathing, and Follow Through. I teach these to every student I shoot with. Cleaning and safe storage. Learn to clean and maintain your gun. I will be having a free gun cleaning clinic soon, Watch for the notice. Keep your guns from prohibited possessors and children. shooting techniques and target skills. It has low recoil and is economical to shoot. Trigger control is fairly easy to master because there is little recoil and .22 ammo is widely available and dirt cheap, so it is perfect for learning and practicing. It’s great for new shooters too. These ideas will help you in continuing your skill building for Concealed Carry. I will expand the information in this article to include some training tips and great ideas for you continued Concealed Carry training. Watch for upcoming articles on the subject. If you need any help with these or other training issues remember to fell free to contact me.